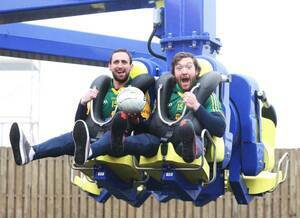 Meath Senior GAA football players Graham Reilly (left) and Mickey Burke experience the ‘Power Surge’, the newest addition to Tayto Park in Ashbourne, Co. Meath. 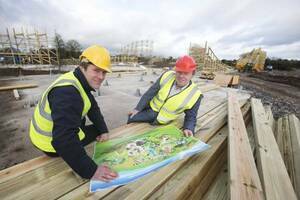 Tayto Park announced today that it will once again sponsor the Meath Senior GAA team for 2016. To celebrate, we have one family pass to giveaway to a broadsheet reader so his/her family/friends can experience the Power Surge and the many attractions at Tayto Park for themselves. Would You Like To Meet This Cat? 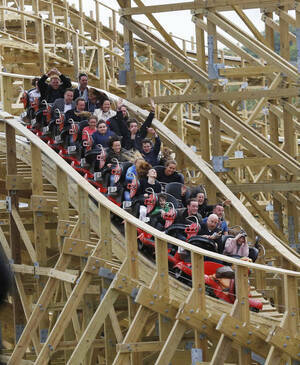 The Taytocoaster Slay The Hound Better Than Funderland? 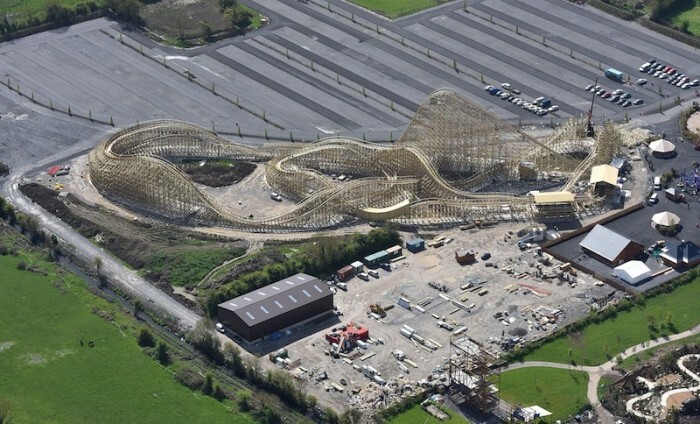 Posted in Misc and tagged Tayto Park at 3:39 pm on April 12, 2016 by Admin. ___Is that a hairline crack above those bolts? ‘Give me the Tayto park Family Pass as I have a desperate need for a a Power Surge owing to my…. undying love for Alan Kelly TD-in-waiting and the loss of his loss super power which was just too much for him to handle…. and that this would be more suited to his power handling abilities, thanks. Give me the Tayto Park Family Pass as I have a desperate need for a a Power Surge owing to my complete distain for any other crisp other than a Tayto Crisp! 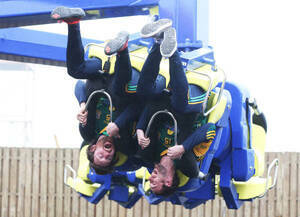 Give me the Tayto Park Family Pass as I have a desperate need for a a Power Surge owing to my disposition. … Desperate need for a power surge owing to the fact that it is my son’s birthday in April and I can’t for the life of me figure out what to offer him, but I know for sure his whole family would love to go to the new Tayto Park! ‘Give me the Tayto Park Family Pass as I have a desperate need for a a Power Surge owing to my de-light-ful pair of shocks’. Please…. No! 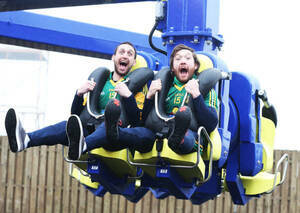 Do not give me the Tayto Park Family Pass as I am too scared to go on the Power Surge! Lol! Give me the Tayto Park Family Pass as I have a desperate need for a a Power Surge owing to my daily watching of Leather Jacket Guy videos which has left me as impotent as a Nevada boxing commissioner. Is it still in Meath? Give me the Tayto Park Family Pass as I have a desperate need for a a Power Surge owing to my inability to perform without my Hunky Dorys! Give me the Tayto Park Family Pass as I have a desperate need for a power surge owing to my frequent sour purge. ‘Give me the Tayto Park Family Pass as I have a desperate need for a a Power Surge owing to my discovery that Mr.TAYTO was chitting on his wife and kids! I have a desperate need for a power surge owing to my wonderful family sucking the very life out of me a little bit every day…… If I got the family pass I could lose them in Tayto Park and finally be free! !